The performance of pharma and biotech stocks from 2017 to this year has been quiet impressive. Adding on, analysts expect pharma stocks to grow in value in the coming years surpassing the performance of other healthcare companies. So let’s check how Eli Lilly is expected to fare. 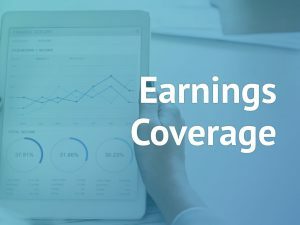 The Indianapolis-based pharmaceutical company is known to generate strong cash flow, allowing it to return a good amount of the capital to shareholders through dividends and share repurchases. Will the company be a solid addition to the investor’s portfolio? Known to be a leader in the endocrinology market, the pharma giant has been successful in posting solid year-on-year growth for its key product Trulicity, as well as Forteo, a drug meant for osteoporosis. These products have been eating out of the market share of rival drugs since inception. In 2017, Trulicity sales spiked 119% to $2 billion, boosting the overall sales by 8% to $22.8 billion. Along with the diabetes drug Trulicity, Lilly has Taltz as one its top growth drivers. Last year, Taltz posted 394% hike in its revenue. The company has said that the recent Republican tax reform is expected to lower its global tax rate. Eli Lilly plans to use the money to reduce debt and build the company’s pipeline. A few years ago, when Pfizer spun-off its animal health business into a separate entity, the move was widely appreciated by investors. Similarly, Eli Lilly also currently plans to spin off or sell its animal health unit. If it gets a response similar to that received by Pfizer, investors may benefit from this move. The company is also considering some deal-making. Another positive aspect about Eli Lilly is that it has close to 18 researches that are in the late stage clinical trials. The company may also soon launch its migraine drug that is currently awaiting FDA approval. If this succeeds, it could be a huge winner for the company. And oh, not to forget, the company is a darling to dividend lovers. Eli Lilly’s key product Trulicity may soon have a competitor GLP-1 agonist, Novo Nordisk’s Ozempic. This drug has shown that it works better than Trulicity in not just lowering blood sugar levels but also making the patients lose weight. The space is getting crowded and competition is increasing as the market already has major players like Sanofi and AstraZeneca. 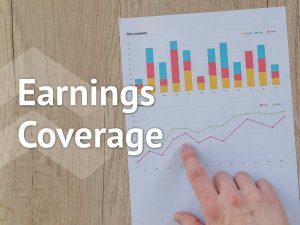 However, weighing the pros and cons, it seems Eli Lilly will continue to have a strong momentum in its revenue and earnings in the upcoming quarters.